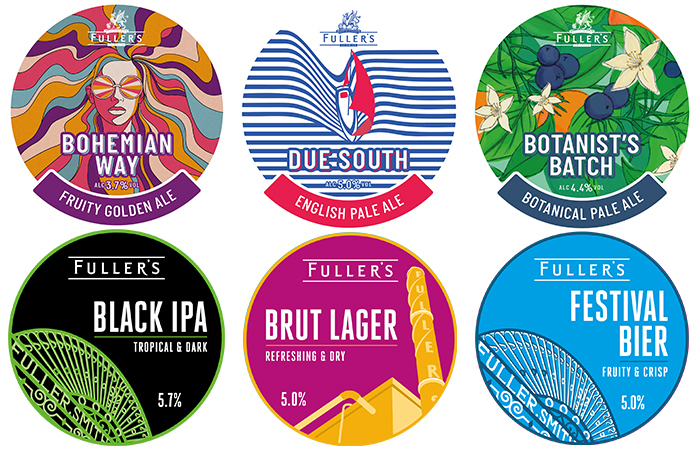 At Fuller’s, we’ve been brewing and packaging our own beers ever since 1845. These days, we combine years of experience with first-class modern facilities to provide bottling, kegging services to other breweries and brand owners. At Fuller’s, we’ve been brewing and packaging our own beers ever since 1845. These days, we combine years of experience with first-class modern facilities to provide bottling and kegging services to other breweries and brand owners. Our packaging process has been approved by Molson Coors, Carlsberg UK, Heineken UK and SAB Miller. 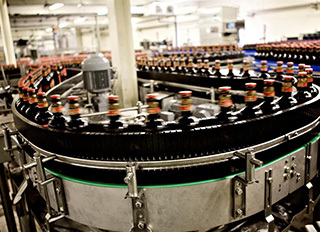 We process and package for Butcombe Brewery Ltd, Sharp’s Brewery and Marston’s PLC . Quality is key to both us and our customers. All our technicians are HACCP trained and carry out quality control checks including tastings at the line. We have quality control support from our main lab facility and a trained panel of tasters who taste daily and report back to customers whenever required. Engineer support is available at line during production hours, ensuring the smooth running of the operation at all times. For customers’ added peace of mind, we have ISO 9001 and ISO 22000 accreditations, along with accreditation from the Organic Soil Association. We are happy to help process your product and can accept ‘bright’ or ‘rough’ beer. This flexibility means we can offer a variety of options for you and your product. Part of our processing option includes the ability to offer cold conditioning. We can sterile filter bright beer to enhance your product’s natural stability and offer carbonation of product and stabilization. Recent investment within our brewery means your beer can be filtered using our state of the art technology in terms of cross flow filtration. Additions of ingredients and flavorings can be made pre and post filter with an ingredients tank available for additions such as honey. Our experience and processing of our own products means we are able to offer bottle conditioned products with the addition of yeast post filter. On our bottling line, we manage bottle-conditioned products, sterile filter or pasteurized your brands in 275ml, 330ml and 500ml bottles. Depending on bottle types, we can pack in quantities from eight up to 24, finished either in shrink wrap or wrap-around cartons. Kegging is available either as sterile filter or pasteurised, in 30 and 50 litre containers. We offer versus options for packaging format including locator boards and pallets. We are able to work with you and your brand team to manage any packaging material requirements liaising with suppliers and purchasing on your behalf. We are happy to operate as a one stop shop for your bottling needs and can manage the purchasing of glass through to final shrinkwrap. If you’d like more information on the service above or any other potential contracting needs you may have please our contract team. We understand that we need to work with our customers in terms of development of brands so please discuss with us your quantity requirements and we will work out the best solution for you and your brand.